MonkeyPaw Games is hard at work bringing Tomba! 2 to to PlayStation Network store. 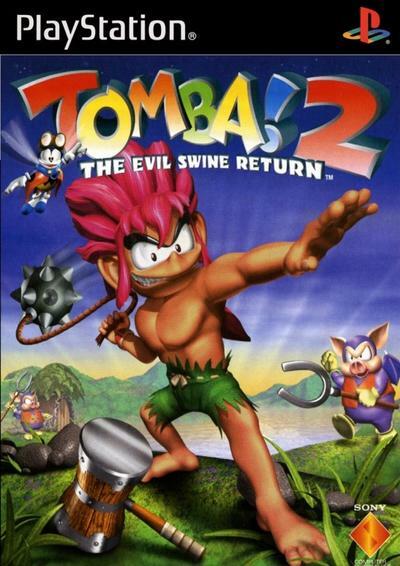 The original Tomba! was released through the digital distribution network last year and was enough of a success to push SCEA into entering talks about a sequel. If all goes well, MonkeyPaw is hoping that they will have a direct port with PS Vita support from day one. Both Tomba! games were released on the Europan PlayStation Network over the holidays after fans were wondering if they would hit. Both cost £6.99 ($11) and can be played on the Vita. In America, the original Tomba! costs $9.99 on the PlayStation Store, so I would expect the same for the original if it gets released. Why it's four dollars higher than most of the other platformers, I have no idea. Tomba! is the brainwork of Tokuro Fujiwara, the creator of Ghouls n' Ghosts and producer of the original Mega Man games. He sports a long history in the video game industry working for both Konami and Capcom in the past, as well as his own company. He currently works for Platinum Games, if you need anymore convincing of this guy's credentials. Tomba! is available for $9.99 through the PlayStation Classics channel. It's a fun combination of 2D platforming with RPG elements. The second game opens the world up more with camera angles and branching paths. Check them out for some classic, solid platforming.